Gloryoski! It’s taken the patience of a saint, but next month Caroline International are gifting us with DLX RMs of the sacred first three China Crisis albums. I had given up hope on this notion many years ago. So much so that I made my own BSOG of China Crisis a decade ago…since I felt the likelihood of it happening for real was slim to none! When their fifth and last album for the Virgin label made its debut as their first DLX RM four years ago, I thought to myself, “that’s it… game over!” I stuck to listening to my bespoke BSOG and that, as they say, was that. All of that changes next month. There are 2xCD copies of the delightfully demure “Difficult Shapes And Passive Rhythms [Some People Think Its Fun To Entertain]” and the best selling “Flaunt The Imperfection.” Three shiny discs are scheduled for my personal favorite of their albums, “Working With Fire + Steel [Possible Pop Songs Vol. 2].” Does it get any better than that? What, prithee, are the contents of these august discs? Going over the contents with a fine toothed comb reveals that only one track is missing that should be here. 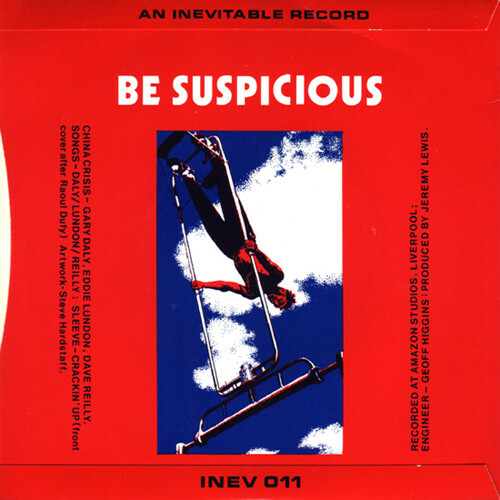 “Be Suspicious,” the B-side to the “African + White” single. “Cucumber Garden” exists in a regular and extended version, so I’m not sure which one we’ll get. I’m assuming that the “African + White” and “No More Blue Horizons” versions included here [and originally called B-sides] are in fact the 12″ extended remixes of these tracks. Everything in monksblood red is a previously unreleased track, be they demos or BBC sessions! I asked after discussing their last DLX RM where the rest of their BBS sessions were and they finally reach our ears here. The biggest achilles heel of this whole program, as far as I’m concerned, was the omission of the 7″ version of the “Wishful Thinking” B-side, “This Occupation.” The extended version of the track is far more common; and one of my favorite B-side ever by anyone, but the 7″ mix is so completely different to the Cab Volt gone dub of the 12″ mix, that it seems like a different song entirely. Everything else from this period of singles is accounted for. Another omission, though less annoying, was the live BBC recording I have on a BBC Rock Hour transcription disc. It featured the band recorded live in concert playing “Hanna Hanna,” “Wishful Thinking,” “Christian,” “African + White,” “Working With Fire + Steel.” Two of the tracks surfaced as the B-sides on the “Hanna Hanna” 12″ single, included at the end of CD2, but the other three tracks are m.i.a. 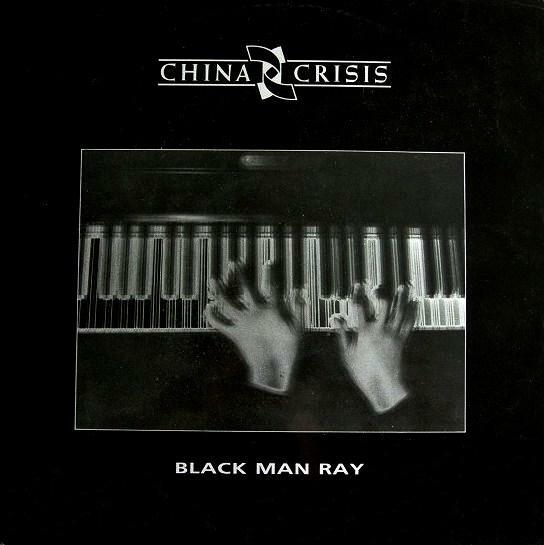 The only grievous omission here, and I can’t really carp, was the inclusion of the 7″ version of the “Black Man Ray” B-side “Animalistic.” That’s because the “Day At The Zoo Mix” from the 12″ of “Black Man Ray” is far more common. The 7″ version [which is just the front end of the 12″ mix] has not ever made it to CD, so this is fine. However, the “Day At the Zoo” mix is one of the finest and most ahead of its time 12″ mixes of the mid-80s in that it prefigured the entire ambient/chillout/dub genre as spearheaded by Future Sound Of London’s “Papua New Guinea” five years later! In fact, given that the second China Crisis album has a track called “Papua,” I think it’s safe to assume that if you cut members of Future Sound of London, they might just bleed China Crisis. Just saying. These are available currently for pre-order in foreign editions of the “you-know-who” store, and to date I have not found any US outlets selling these, but hopefully, they will not be long in coming to my Record Cell. This entry was posted in Core Collection, Want List and tagged 1982, 1984, 1986, 2017, China Crisis, DLX RM. Bookmark the permalink. Regarding your comments about Animalistic it appears both the 7 inch version and the Day At The Zoo mix are going to be on this reissue. The 7 inch version of Animalistic has appeared on CD twice before firstly on Diary – A Collection from 1992 the on the Ultimate Crisis compilation from 2012. Neil Monaghan – Welcome to the comments! Thanks for the info. The only place that I saw the contents listed was at superdeluxeedition and that as from several weeks ago. As usual, China Crisis is one of the most difficult bands to pry information from, seeing as how they refuse to have anything in the way of a website, in spite of being very active. 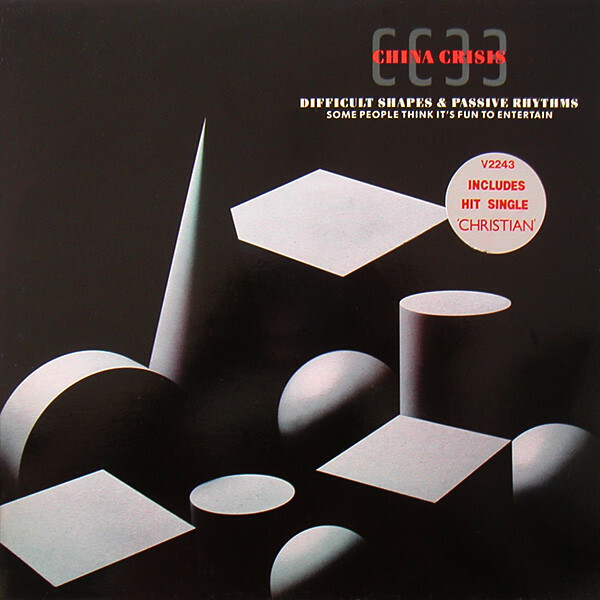 The only China Crisis compilation I ever bought was “Collection” in the mandatory 2xCD version with all of those fine B-sides. Very much looking forward to these – already pre-ordered – but a tad bummed Be Suspicious & This Occupation [7″ Version] aren’t here. Also a bit miffed why What Price Paradise wasn’t added to the release schedule – I hope that doesn’t mean it’s never happening – but this appears a missed opportunity. Reminds me of The Comsat Angels deluxe editions that promised Land & 7 Day Weekend but in the end they were scrapped with no chance they’re ever coming. On the fence, PPM. I have each of these albums on CD and vinyl, which is kind of ridiculous. I have many 7″ and 12″ singles as well, but there are quite a few extras here I have never heard before. So much to buy, so little money. I’ll probably cave. They really are great albums, and we share the same favorite. Brian – I hear you. I could spend 4x my budget just on reissues. These I will want to buy. It may take me years before I finally get them, but the 1985 edition of “Difficult Shapes” looks terrible. My favorite of their albums comes with a plethora of unheard material, and my copy of “Flaunt” has been bronzed for over 20 years. The release date for these has changed to the 15th September which is a bummer. It is really annoying that we cannot get information about the proper track listings for these and the band don’t seem to care about them at all. Neil Monaghan – China Crisis, for a band that has reformed and are quite active, seem highly reticent to toot their own horns too loudly. It’s part of their introverted charm, so I get it. I don’t have to like it, though! All of you learned persons going on about omissions and various versions of tracks, and I’m over here just going “squeeeeee!” I do believe I have (in storage, so I can’t verify) the Monk’s BSOG sets, but I certainly also have “Difficult Shapes” (one of my all-time favourite album titles!) and should have all the other studio albums (I’m lacking the live and greatest-hits comps). I also have Collection, Wishful Thinking, and a few comps that have songs of theirs on them, e.g. Methods of Dance. Given their soft-rock tendencies and sporadic output, I’m often hard-pressed to explain why I like them (I broadly prefer more … energetic music), but there’s something about the band (not just their Steely Dan notes) that puts them on the same pedestal as, for example, Colin Verncombe or Suzanne Vega. To add more information are missing the tracks HANNA HANNA (7 “edit), NO MORE BLUE HORIZONS (3” CD version), WHISFUL THINKING (Phillipinas 12 “extended mix) AFRICAN AND WHITE (7” & 12 “Proctor remixes) – NO ORDINARY LOVER (Methods of Dance CD Remix). Also say that the WHISFUL THINKING version of the CD2 deluxe Working W F and S. is not version edit is the same as the album. The 7 “edit is on the CD compilation titled Diary-A Collection. Gines – Welcome to the comments with your detailed information about the missing mixes. This is the price we pay for all of the unreleased material. My thinking is this: reissue all of the loose tracks from the original release period in a deluxe remaster and then if there is any more time on the disc, bring out the unreleased tracks and demos. Gines i very much doubt that is an actual extended mix of Wishful Thinking on that Phillipines 12 inch single in fact on the cover it says dance remix which sounds silly. Regarding No More Blue Horizons on the CD single of Saint Saviour Square it’s just the basic album version that’s on there. It has a listed duration of 4:38. I also have the UK 7″. It has a listed edit of 4:08. 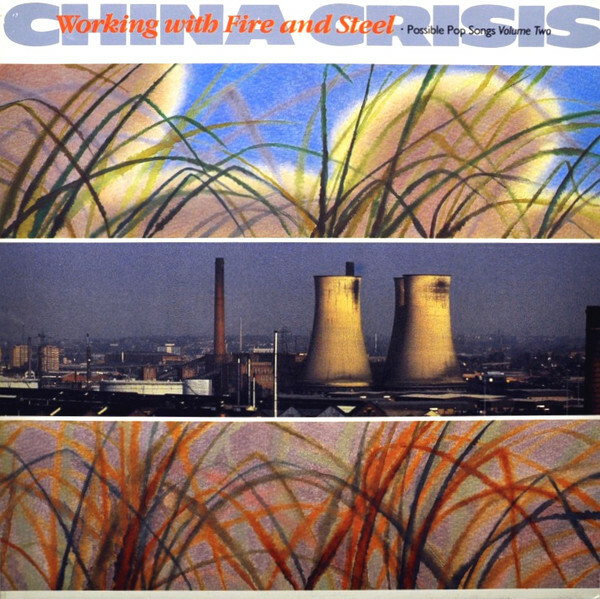 The new CD https://www.discogs.com/China-Crisis-Working-With-Fire-And-Steel-Possible-Pop-Songs-Volume-Two/release/10864476 lists the duration as 4:43. 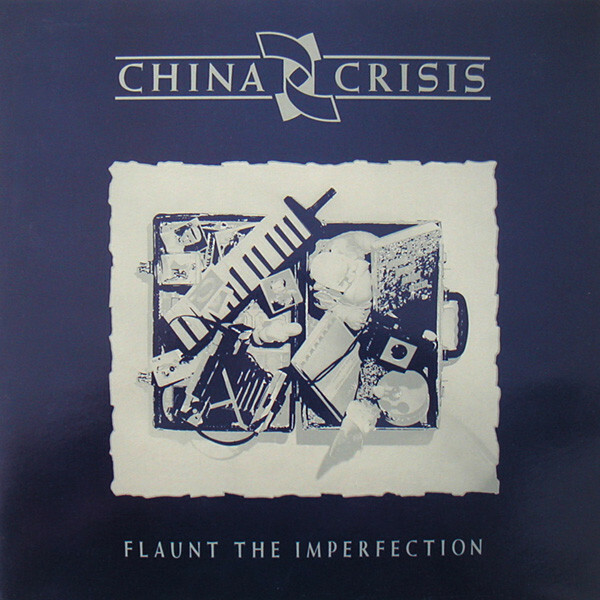 The Phillipines 12″ in question [not previously known to me] https://www.discogs.com/China-Crisis-Wishful-Thinking/release/8733770 has information suggesting a 5:15 duration. Until this disc is in hand, it’s just bits on the internet. Caveat emptor. Does anyone actually own this record to verify the running time? Another caveat: timings printed on labels are not to be trusted. Hmmmm. Regarding Wishful Thinking, The standard CD version, remaster version and a mp3 which I have labelled “extended” are all 4:41. I suspect this will be the same for the 12″. I also have a file marked “extended remix”, it is 5:27 and appears to be a fan made extension of the acoustic live version with the applause taken out. Maybe it’s official. I also have the file marked as “dance remix”. No idea if it’s the one being talked about but it’s absolutely awful. It just the original mix with a drum beat over it. It sounds like it was done in someone’s bedroom. It might be the mix from this cd? I should move to Philippines. They love New Wave. The single edits of WWF&S and Hanna Hanna just had the swearing removed. I am very interested in the Methods of Dance version of No Ordinary Lover. We do know that this compilation does contain unique version sometimes (see Japan). Still trying to figure out what is remixed about the second 7″ of African & White. Maybe it was a gimmick by Virgin? I would still like to see Tragedy & Mystery 7″ on CD even if appears just to be an edit. I write to you from Spain and my English is a translator. Regarding the information that I added is true and it is possible to find it on youtube. Gines – Welcome to the comments! I’m aware that China Crisis have a following in the Philippines. I see that they perform there on occasion. I have never heard the 7″ mix of “Hanna Hanna.” All I have is the 12″ version since more 12″ singles were imported into America during that time than 7″ singles. I will have to investigate, so thanks for the info! this 7 version HANNA is a remix – more echo on the vox, less on the marimba and the “city full of sharks” line tidied up. I still don’t believe there exists a genuine extended Wishful Thinking. Also it’s funny how the back cover of the Philippines 12″ makes no mention of the remixer.